BEIRUT — An hour's drive from the Syrian capital, some 20,000 people are under siege in the mountainous town of Madaya, its residents mostly housebound, hungry and cold, with temperatures below freezing. For the past six months, the town, which is under Syrian opposition control, has been subject to a government blockade. 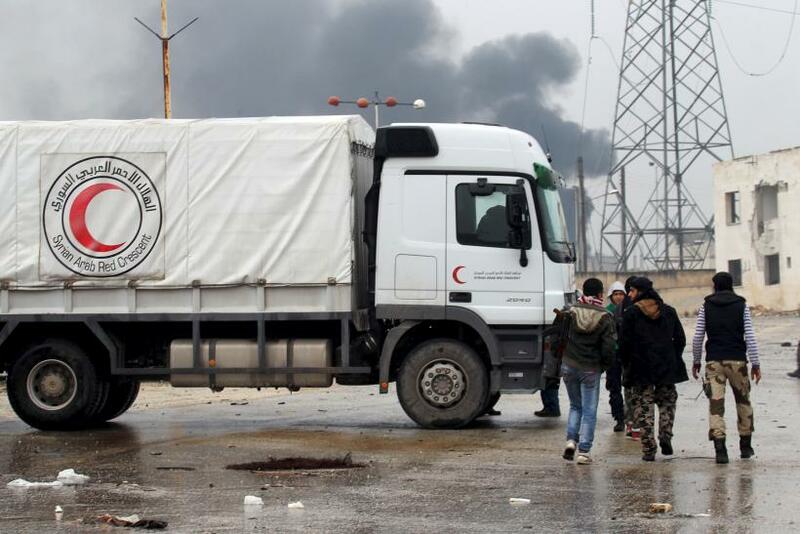 Monday marks the first time since October that aid convoys have been allowed to enter the besieged town, after humanitarian groups struck a deal with the Syrian government Thursday. 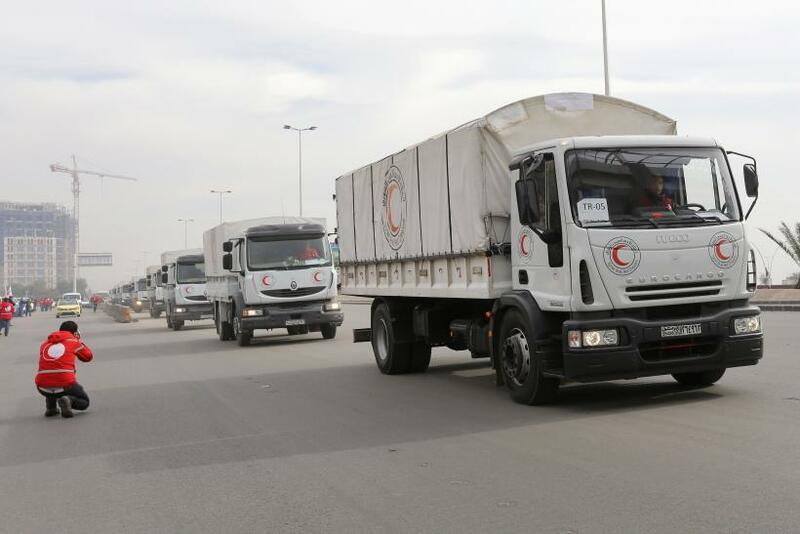 The agreement was part of a joint effort from the United Nations World Food Program, International Committee of the Red Cross and the Syrian Arab Red Crescent. Food and medicinal supplies that form the bulk of the 44-vehicle convoy are expected to sustain residents for up to one month, according to Agence France-Presse. Until now, residents have been eating anything they can find, including donkeys and cats. One doctor in the city told CNN that he sees roughly 250 cases of people struggling with acute starvation every day, and he’s been able to give his patients only water and sugar. On Sunday, the doctor told CNN that five people, including one child, had died from starvation in the past 48 hours. At least 23 people, including six children under 1, have died from starvation at a Doctors Without Borders-supported health center in Madaya since Dec. 1. Upon entering the town Friday, Doctors Without Borders identified at least 250 people with severe, acute malnutrition. According to a U.N. estimate, Madaya is one of 15 besieged Syrian cities where at least 400,000 residents have little to no access to aid.